Join the AJSA community this Saturday for our fourth operation in Planetside 2! To get into the mood and to announce that the AJSA is here, we will do something together as one large blob, before normal combat operations begin. For this operation, let's try a High Altitude Galaxy Drop with MAXes (what I'm calling a Hailstorm), our galaxies will fly to the height limit and drop their payload of AJSA MAXes over a hot spot. After we all die horribly, we can begin normal operations. We will then break off to our platoon and squad assignments. If an Alert has started, we will play the objectives of the alert, otherwise, we will go to hot spots where we are needed (splitting continents if called for). Once the Combat Phase winds down, we will have another exciting edition of the AJSA Racing League. This time we are going back to a classic with a twist, Partner's Flash Death Race. This means in order to win, you and your partner in the backseat have to survive the race together, and since it's a Death Race after crossing the midway point, Friendly Fire is allowed against your fellow racers! In the map I posted below, you can even see the proposed race route for our flashes, with special notes for the way-points. Congrats again to Op #3's Mosquito Race Champion Ysnar! PS - Be sure to hang onto your crazy screenshots you take during the event! Join the AJSA community on the Jedi Covenant Server and help the Empire obtain "UNLIMITED POWA!" The AJSA voted and we listened, we are opening a small guild for the Empire on the server Jedi Covenant for Star Wars: The Old Republic. Star Wars: The Old Republic (SWTOR) is a free-to-play MMORPG set 10,000 years before the events of the original trilogy, and follows off of the single-player RPG, Star Wars: Knights of the Old Republic, also made by BioWare. While the free-to-play restrictions have been controversial, the game is free to play up to level 50, which lets you play out the entire original campaign for your character; some of the stories are very well written and expertly voice-acted. Getting "Preferred Access" only requires spending $5 or more in-game, which lifts some of the restricts, allowing you to create up to 6 active characters. It will be played on the NA region. and will continue on to the 18th and 19th at 3:00 PM Central time. Max of 8 teams in this tournament. These times are set so teams have time to compete durring those days and things don't get postponed into other days. This will be a double elimination tournament, so fret not if your team loses one match because you still have one more chance to compete. two losses and you will be knocked out. If possible i would like to speak to all teams or atleast every team captain on the 16th, the day before the tournament to set up times for the teams to compete. So please message littlemowgli about this, I'll also will try to get in contact with each and every one one of you. And the prizes, I'm sure thats why most of you guys will be competing for. 20 dollars in RP for every individual member of the team that wins it all, and 5 dollars each to every individual member of the team that almost won it all. If you need to know how to use the tournament features we have a guide for that in the AJSA Tutorial Videos & Guides section in our forums. Rally your fellow AJSA members, create your team, practice, and most important of all, have fun. Here is a rough draft of our coming soon Tutorial Video on how to sign up a team! Wanted to put this here as it does the job perfectly until we get our next one out! OIC Air Combat Command: OPEN - Responsible for Helping the CAG and DCAG set up events and day to day running of the Air Wing. OIC 1st Armored Division: OPEN - Responsible for Helping the CAG and DCAG set up events and day to day running of Ground Forces. 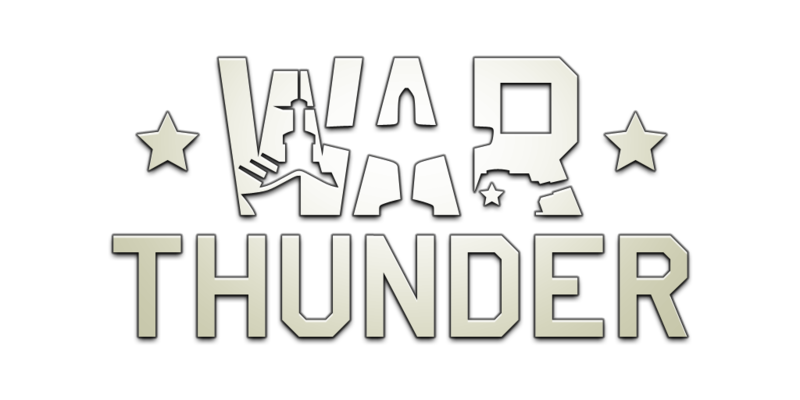 Epic War Thunder Music Intermission Time! Code of Conduct: Abide the AJSA Code of Conduct. Failure to follow the Code of Conduct can result in removal from the squadron. Serious infractions can and will be applied to a members standing with in the greater AJSA Community. 1. Be respectful to all your fellow Squadron mates, and other pilots at all times. 2. Do not Cheat, attempt to cheat or otherwise attempt to gain any unfair advantage over another player. Any person found of doing this will be reported to Gaijin and could suffer punitive action within the greater AJSA. 3. At all times AJSA Pilots and Tankers are required to conduct themselves in a mature manner during gameplay. If you find yourself raging, (we all have) take a step back, relax, and come back later. Join the AJSA Community for our third Operation day/night in Planetside 2. More details inside! Since it is the time of year for giving, let's give our NC and Vanu friends the gift of BULLETS! Anyone new or regular is welcome to join the AJSA for our third operation in Planetside 2 and have fun. New players will want to read this posting closely to ensure their participation in the operation gets started smoothly. Terran Republic is the faction the AJSA plays as, and we are on the WATERSON server. New members read the "READ HERE" PS2 forum post to see a list of Sergeants/Officers to send in-game messages to so you can get invited to the outfit. To get into the mood and to announce that the AJSA is here, we will do something together as one large blob, before normal combat operations begin. In the spirit of the flying creatures this Operation is named for, we will be doing a massive MOSQUITO SWARM, (flying skills not necessary) where we will go together as group to a hot spot in need of air support. After we all die horribly, we can begin normal operations. Gunnar Gaming Glasses Giveaway - AJS Caption Contest! Gunnar has sent us a number of different pairs of their unique gaming glasses to commemorate our successful launch! We'd like to thank them their generosity very much and offer these free pairs of glasses to our members in a giveaway contest! Check out the different pairs you can win below! We'd like to run some kinda contest for interested members that requires some effort or skill rather than just picking random winners from a pool so we've decided on a quick fun and easy Caption Contest! If you have future ideas for contests let me know, short stories, fan art, T-shirt design contest etc. The Contest will end Sunday, December 8th at 11:59pm! Winners will be selected and announced by us on Monday, December 9th! Contest Rules: You must be a registered person within the AJSA of at least a Recruit level with no warnings currently issued to your account! Here! Follow him for more updates on Gunnar News!